Click on images for the full image of that face of the situlae. Elfenbeinsitula (Weihwasserkessel) Lotharingen nach 1000 (heute im Domschatz von Aachen). Die Krönungskirche. 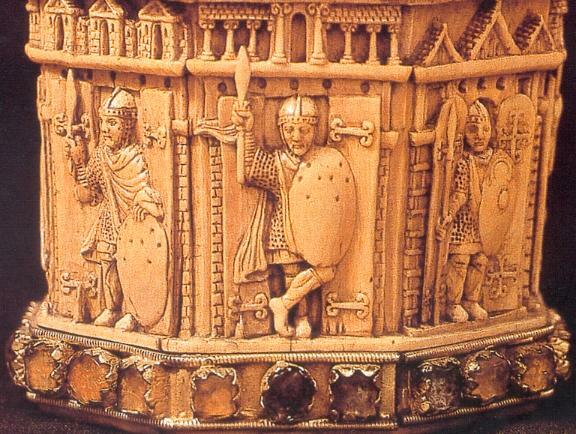 Ivory Situlae (Holy water basin), Lotharingia, after 1000AD, (now in the coronation chapel of the Cathedral of Aachen). Black & white details of 7 of the 8 faces of the Ivory Situlae of Aachen Cathedral.